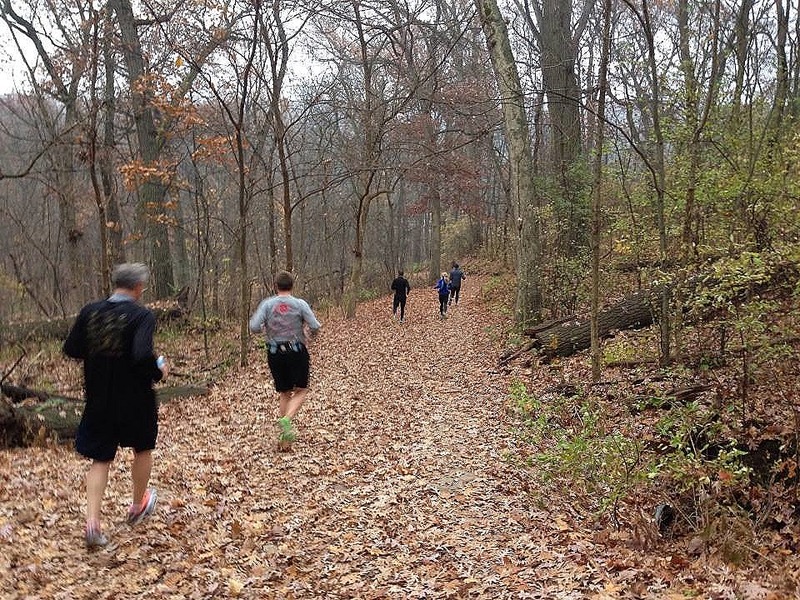 As See On The Run, Swallow Cliff & Schubert Woods Edition …. 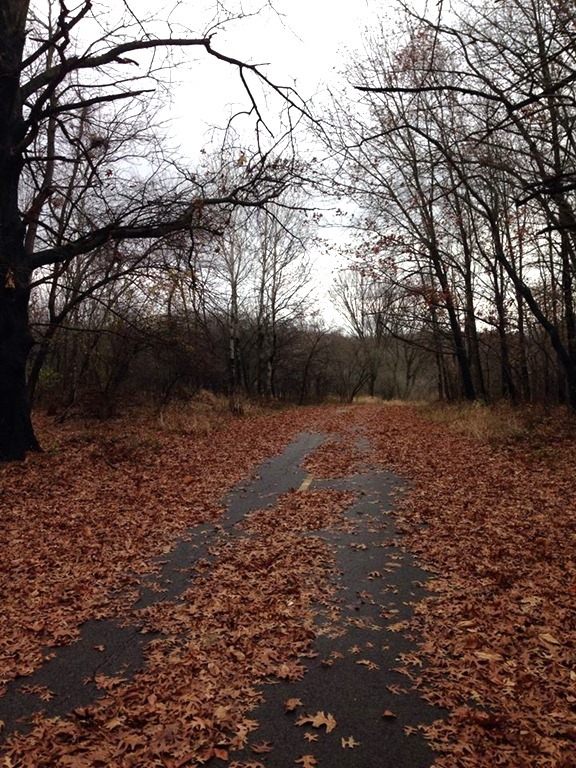 This last weekend brought us crappy, destructive weather unseasonably warm temps and most of the runners in my area were out trying to enjoy it, the only way we know how …. running. What’s better than running? TRAIL RUNNING, of course! Saturday, I had Swallow Cliff on deck. I had anticipated going alone to run two loops but much to my delight, I had two rounds of F’N Runners to keep me company. 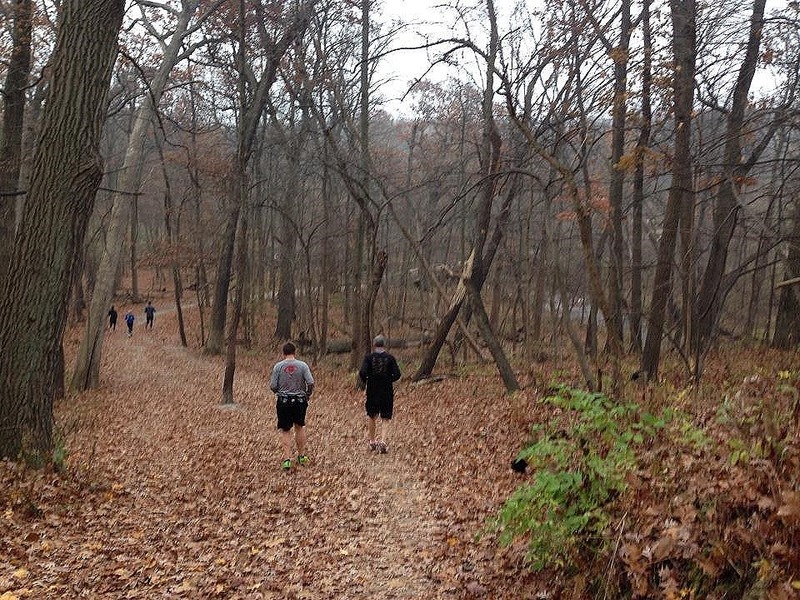 We ran the 8 mile yellow loop and were easily able to accommodate an early AND a late crew. 7am crew on the left, 8:30am crew on the right. No, I didn’t change clothes but added a layer for the second loop. The temps were cool with the drizzling rain. Fun times. I’ve posted about Swallow Cliff before so if you want to see more pics or take a peak at the map, go HERE. 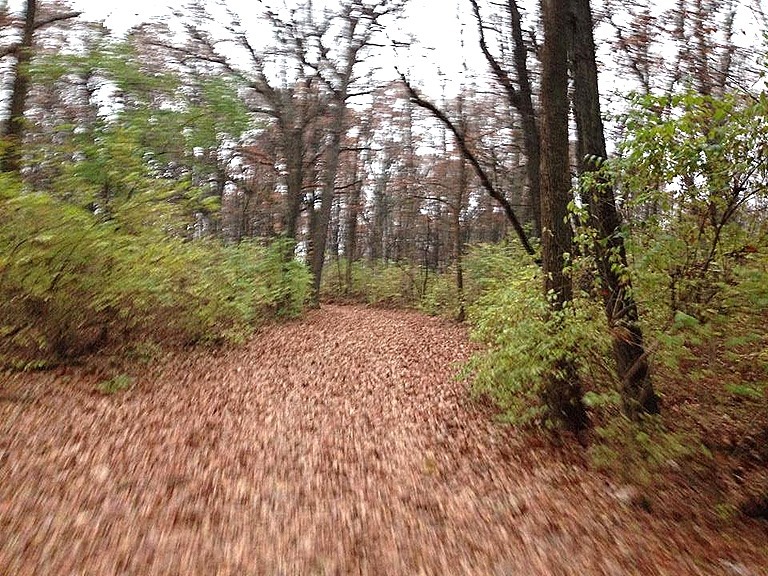 Otherwise, below are trail pics from Saturday’s trip. I’m not sure why but I was surprised when I hit the trial and it was totally COVERED with leaves. We had to be pretty careful in spots because the bigger hills have ruts where water runs off and those ruts were totally covered by leaves. It wasn’t a fast trip but it was beautiful! 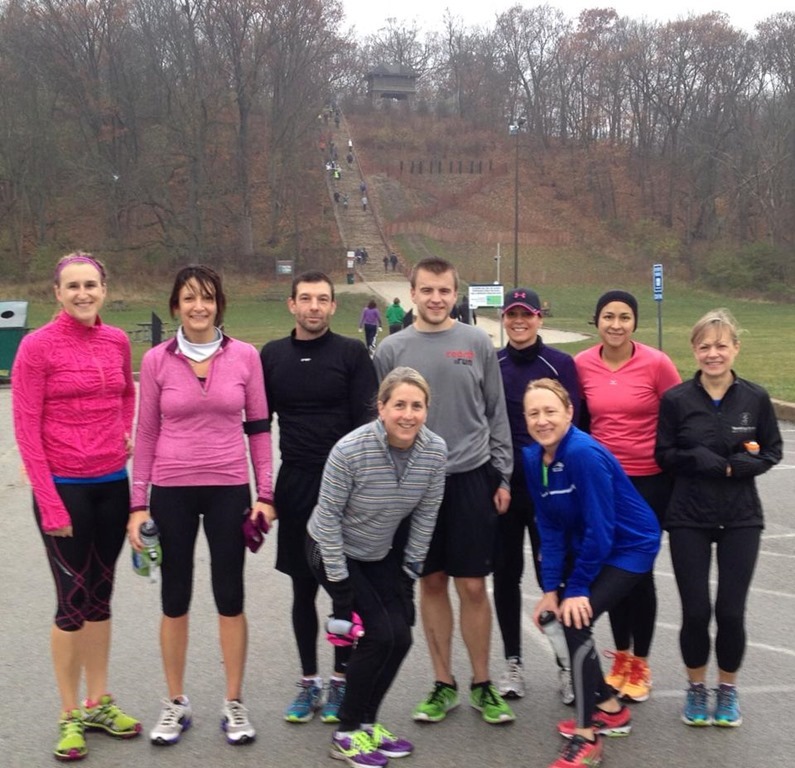 Many of our runners braved the stairs too, either before or after their run. Swallow Cliff is know for it’s stairs which were originally built for the old toboggan slides, which have since been removed for safety reasons. However, the stairs are still present and provide area locals a great workout. The stairs are always busy. People are always climbing. All day long. Every day. Year round. How many trips up/down can you make? Sunday I slept in with Michael, made the family breakfast, did a few loads of laundry AND THEN managed to get Aby motivated to run. All morning we had been watching the radar waiting for a “window”’ where we could squeeze in a run. When we left the house, the radar was clear and we were between storm cells but that didn’t last long. 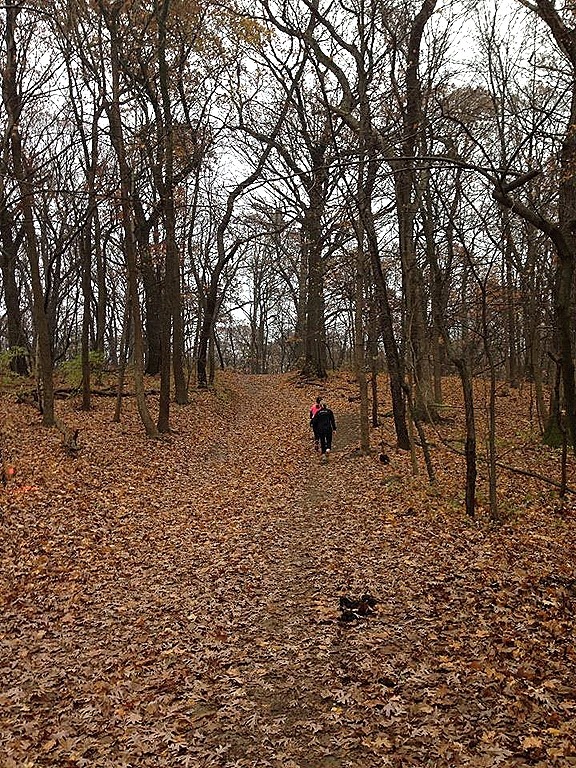 We headed to Schubert Woods in Park Forest specifically because it’s a 4 mile loop which is the perfect distance for Aby. Plus there is an added bonus in that the trail possesses a short hill, which is decently steep and good for hill repeats. We have a very hilly Turkey Trot coming up so she needs to stay in decent shape and well, I ALWAYS need to work on my hills because it is one of my weakest areas. Unfortunately, the bad weather rolled in before we got to our hill repeats. Bummer. Next week! 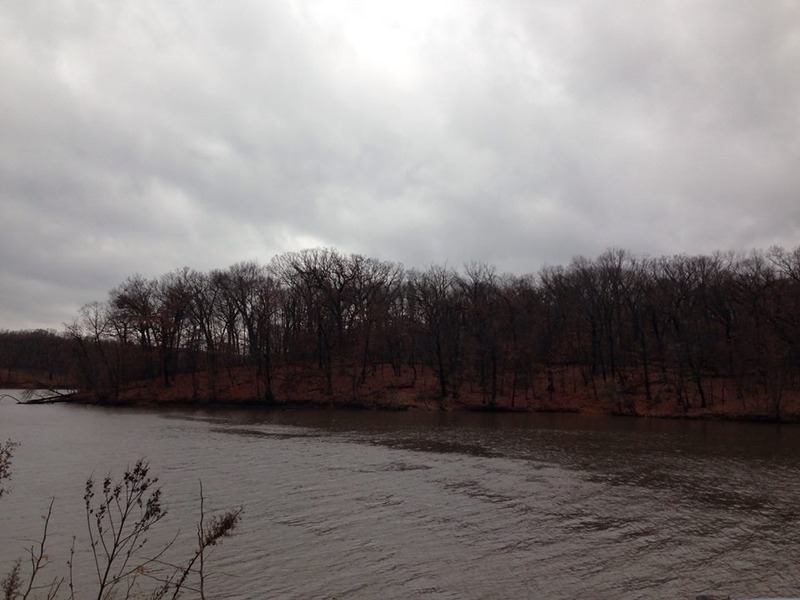 More details, pics & a map of Schubert Woods via my previous posts HERE and HERE. 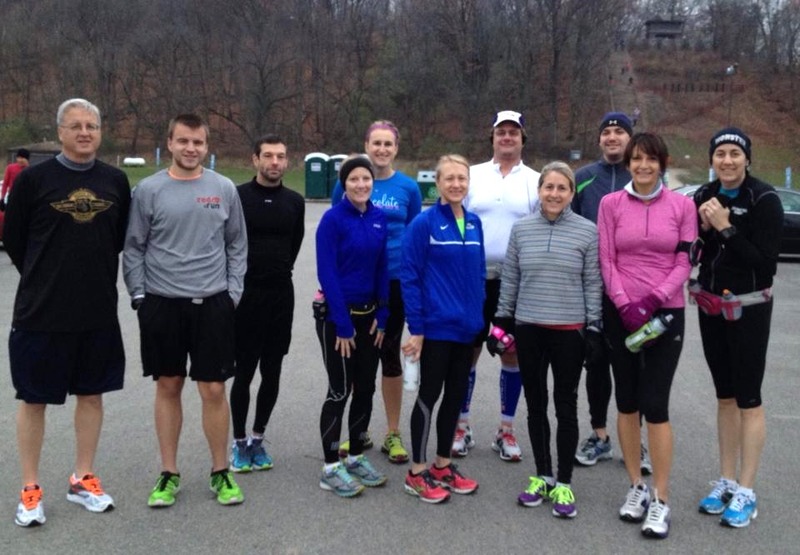 These photos below are from our run on Sunday. Love this trail, it’s one of my absolute favorites, and only about a 15 minute ride from the house. Good run weekend. I’m currently training for the Huff 50K Trail Run on December 28th and the Disney World Dopey Challenge (January 9-12) so I’ll be logging some really good miles in the next month. Or that’s the plan. Let’s hope life let’s me put down the miles so I can enjoy both events, walk away with a smile, and earn all those January weekend sleep-in that’s I’m already planning! 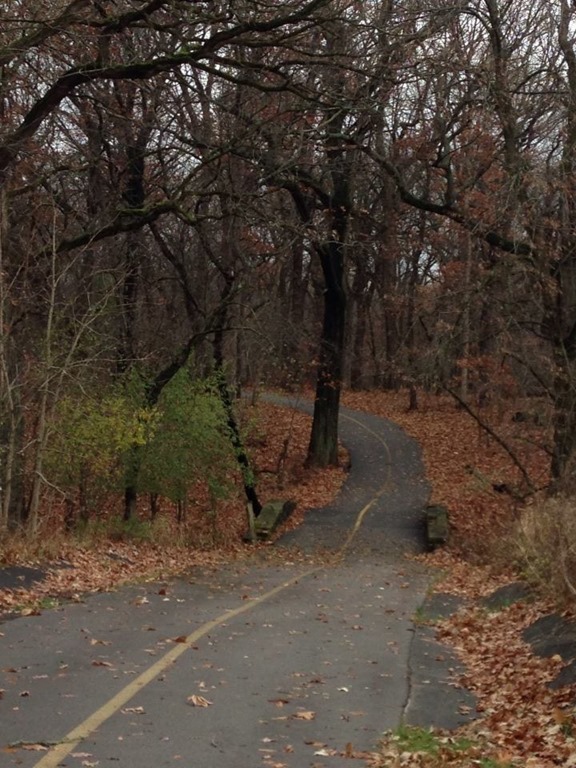 Do you prefer roads, trails or do you just want to stay on the treadmill? I’d love to hear where you like to run, tell us!!! 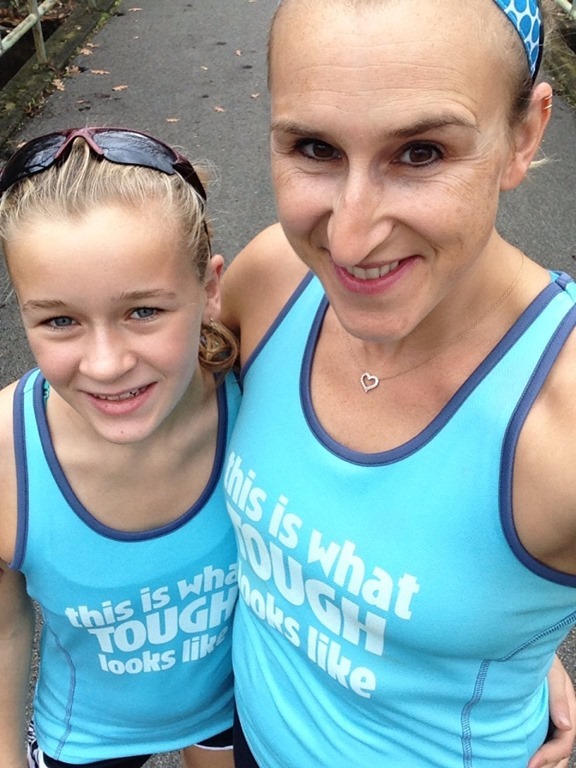 This entry was posted in Running and tagged Running, running bridges, running hills, running out in the woods, Running Schubert Woods, Running Swallow Cliff, running trails, Team Tough Chik 2013 run singlets, This is What Tough Looks Like run singlet, Trail Running by tootallfritz. Bookmark the permalink. Ooo – Looking forward to hearing all about the Dopey Challenge – Friend and I are planning to tackle that series in 2015 – He will do Dopey and I will do all the races except the full. Love trails! 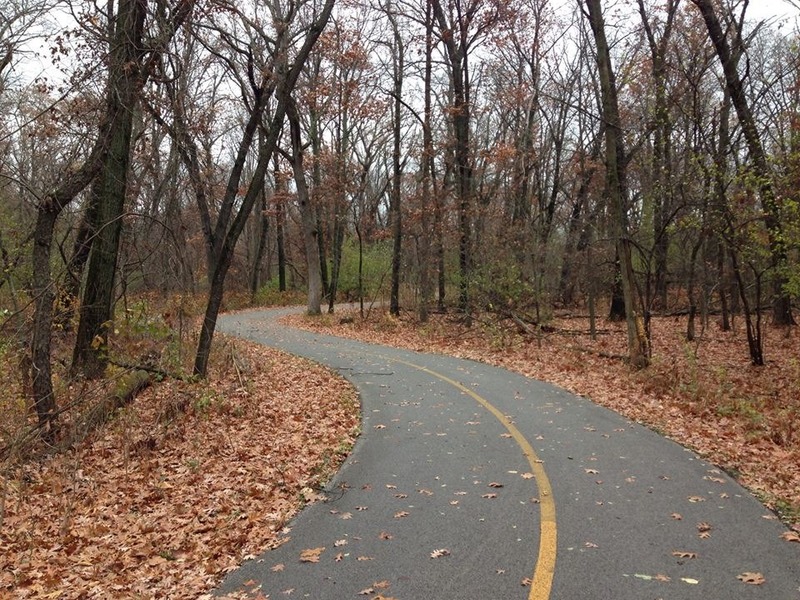 Your trails look great! Even in the rain. I like to run all of those venues, roads, tracks, trails and the treadmill has its place and function, especially in the winter and interval workouts on the schedule. 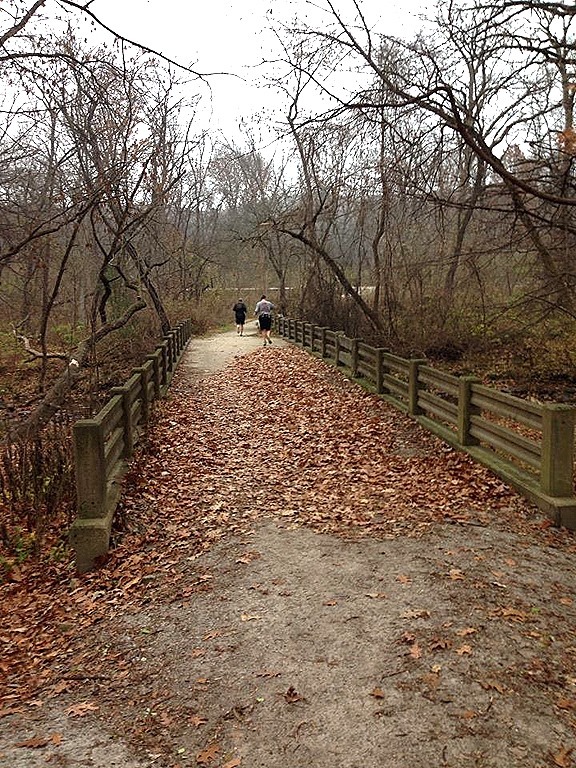 Waterfall Glen, Swallow Cliffs, Yankee Woods, and Indiana Dunes are all favorite places to run, but don’t get to that Indiana Dunes or Waterfall Glen that much cause of the distance to drive there. And the stairs at Swallow Cliffs have done them at times in past, but its hard on knees so don’t run up them anymore…just brisk walk when I do them. Those stairs…from a distance…always remind me of some kind of ancient pilgrimage…monks, buddhists and others…ascending to the temple up high. I wish I lived closer! 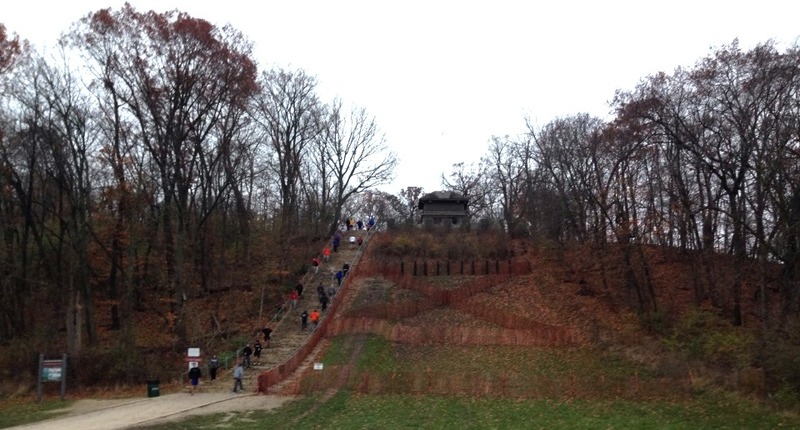 Those trails look awesome, and I would LOVE to run the stairs!! I wish you were close too! And those stairs are a real workout!! That trail look so pretty! I must join you one day. Where is your 50K? I am thinking of doing the one along the lakefront next year. I think it is in March. I am doing the Goofy Challenge and I am SCARED. However, I am sort of excited because I’ve never done anything that goofy. Or does an ultramarathon count? 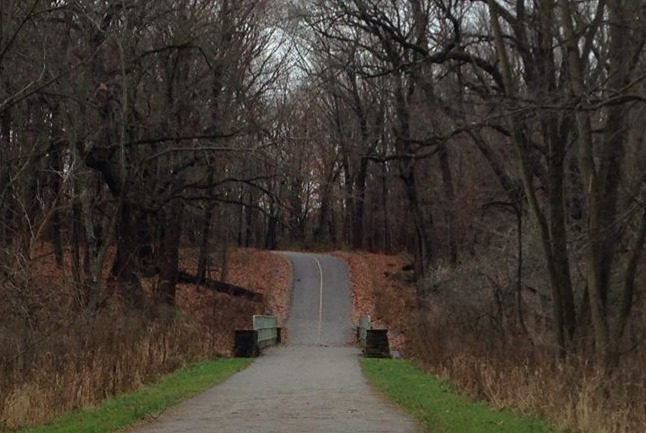 I’m doing the Huff 50K in Albion, IN on Dec 28th. Come run! I’m hoping to do the Lakefront 50K too but it’s right around my 40th bday and also the Shamrock Shuffle so I’m not sure about timing & my schedule. You’ll be fine for Goofy, just take it easy & enjoy it! Yikes! Not sure if I can run 30 miles next month. Good luck! !